NEW YORK, Aug. 21, 2018 /PRNewswire/ -- The Accreditation Council for Medical Affairs (ACMA) announces its appointment of Jason Aryeh, Life Sciences Investment Fund Manager and pharmaceutical industry expert, to its board of governors today. The ACMA is an international organization highly recognized for its accredited credentialing program for the pharmaceutical industry and its thought leadership in global medical affairs. "We are very excited and honored to have Jason Aryeh join the ACMA Board. Jason is one of the most respected professionals in the life sciences industry and is known for his pioneering work," says Dr. William Soliman, President & Executive Chair of the Board. Mr. Aryeh brings with him over twenty years of equity investment experience in the life sciences industry. 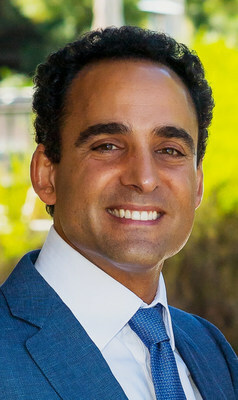 He is the Founder and Managing General Partner of JALAA Equities, LP, a private, activist-oriented, hedge fund focused on the life sciences sector, and has served in this capacity since 1997. "I am honored to be joining the ACMA Board of Governors. The ACMA has helped bring forth a new era in the pharmaceutical industry by providing the only credible board certification for medical affairs / MSL professionals. They have been instrumental in very positively shaping healthcare policy and dialogue. An ACMA accreditation enhances MSL professionals' ability to deliver upon their critical mission to healthcare providers and patients in need," says Mr. Aryeh. Mr. Aryeh has served on the board of directors of many notable public and private life sciences companies and charitable foundations, including Ligand Pharmaceuticals and the Therapeutics Board of the Cystic Fibrosis Foundation. "We believe Jason will help expand the mission of the ACMA to greater heights and I look forward to partnering with him," says Dr. Soliman. Jason Aryeh will play a critical role in helping to expand the mission of the ACMA in the life sciences industry. With his partnership, the ACMA will continue collaboration with the government, healthcare policy consortiums, pharmaceutical companies, and patient advocacy organizations to ensure that the ACMA continues to operate at the highest standards of ethics and compliance to achieve this wider mission. ACMA Board placement was facilitated by Suzana Farah Rahman, Managing Director of Apotheker Search & Advisory who is working with the Accreditation Council for Medical Affairs (ACMA) in the Board of Governors' search process. Jason Aryeh has more than twenty years of equity investment experience focused on the life sciences industry. He is the Founder and Managing General Partner of JALAA Equities, LP, a private investment fund focused on the biotechnology and medical device sectors. He has served in such capacity since 1997. Mr. Aryeh serves on the Board of Directors of Ligand Pharmaceuticals and several other Boards. Additionally, he has served as Chairman of Ligand's Nominating & Governance and on its Compensation Committee since H2 2006. Jason Aryeh has also served as Chairman, been on the Board of Directors, or served as a consultant, to many other public and private life sciences companies and charitable foundations, including the Cystic Fibrosis Foundation. Mr. Aryeh earned a B.A. in economics, with honors, from Colgate University, and is a member of the Omnicron Delta Epsilon Honor Society in economics. The ACMA Society is a non-profit organization whose mission is to provide the highest standards of training and excellence for life science professionals within the pharmaceutical and biotechnology industries. The ACMA provides several training programs for medical affairs / MSL professionals and accredits The Board-Certified Medical Affairs Specialist (BCMAS) program which has been featured in Forbes, ABC News Radio, the Pharmaceutical Executive, the Boston Herald and other media outlets. For additional information, visit ACMA's website, http://www.medicalaffairsspecialist.org/. Follow ACMA on Twitter and LinkedIn.